I ran across this article and thought it might be interesting to some. The story is about colorizing the photos but the interest for me is the subject. It's unbelievable what these hearty souls accomplished with no more than axes and felling saws. I wish I had a picture of my grandad during that time. He was a bucker in a logging camp in Tillamook Co., Oregon in the 1920s. 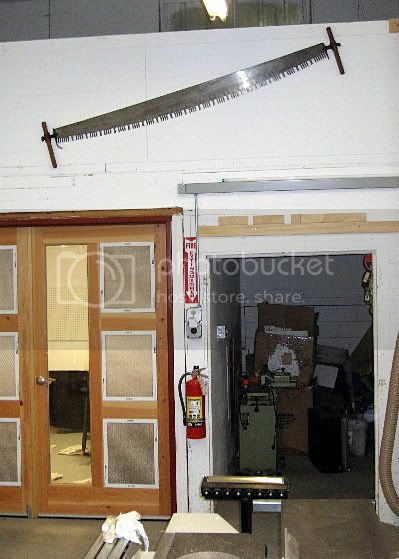 I don't have a photo, but I do have one of his saws, it hangs in my shop. Interesting that you would specify your Grandad's specialization with respect the logging process. I only recently found out that there were the 'fellers', the ones that actually cut down the timber, there were the buckers, who trimmed all the branches to expose the log, and another, the term escapes me now, that would hew a chamfer on the end of the log(s) to allow them to skip over obstructions as they were yarded to the load site. To mention but a few who toiled in the woods back then. It musta been a hard life, one I could hardly survive.